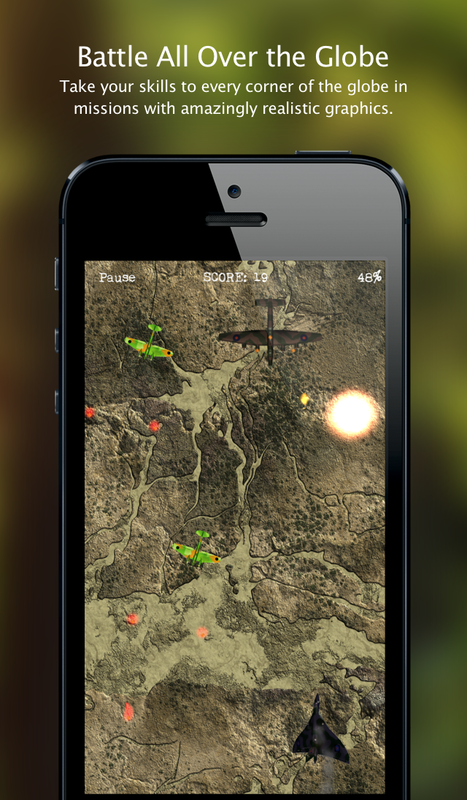 Air Strike: Thunder - free in the App Store! 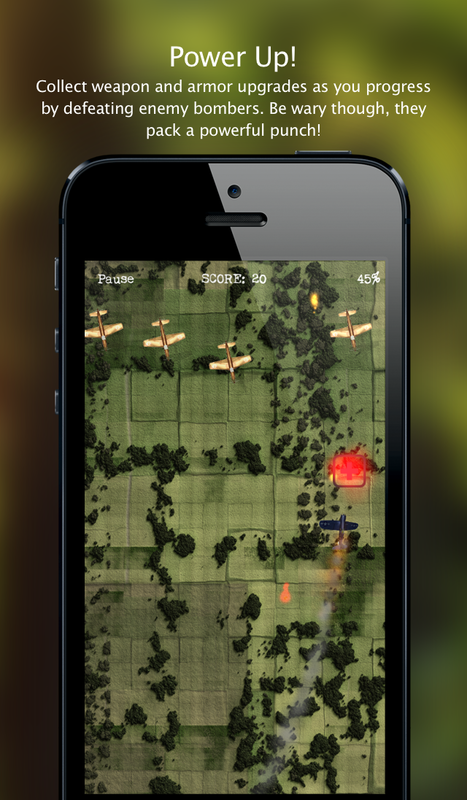 Air Strike: Thunder is an action-packed top down shooter where you can get behind the controls of a number of retro and modern aircraft in missions against vicious enemy fighters. The game takes you to a variety of beautifully rendered exotic locations to challenge enemies in the battle for air superiority. Along the way you'll collect medals for your progress and performance which you can use to unlock even more planes and missions. 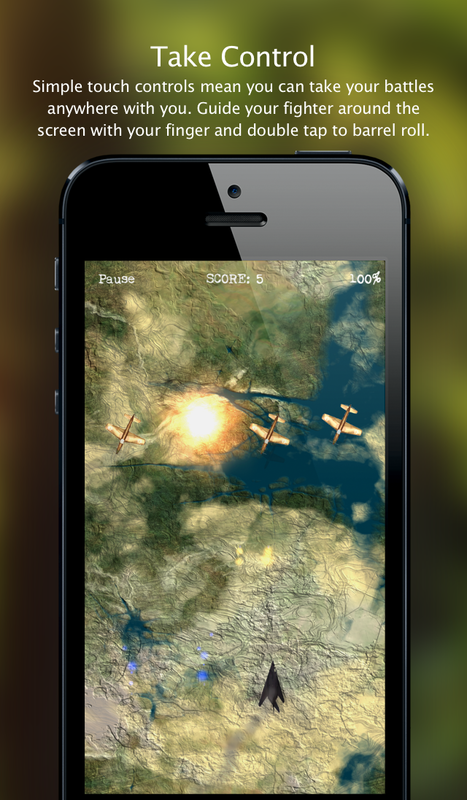 • Unlock all 11 retro and modern fighter planes with realistic speed, agility, armour, weapon and fire rate attributes. Select the plane which most suits your flying style. • Collect medals for your performance and by defeating in-game enemies. • Game Centre leaderboard and achievements show your progress on the way to unlocking all of the missions in the game. 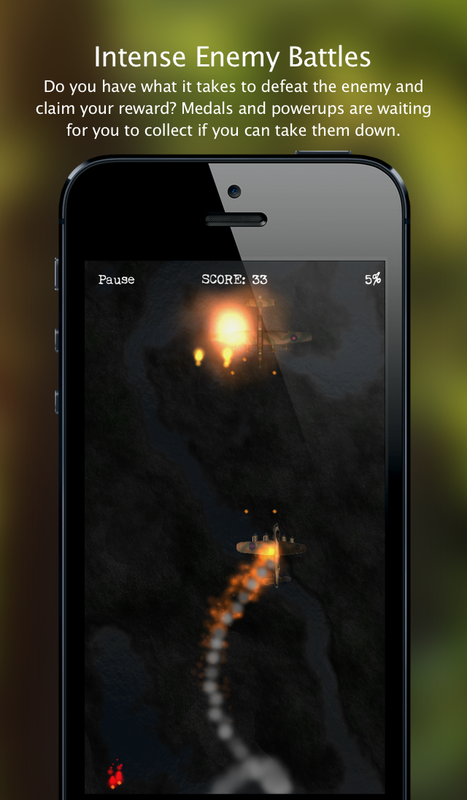 • Collect health and weapon power ups in game to help you on your missions. 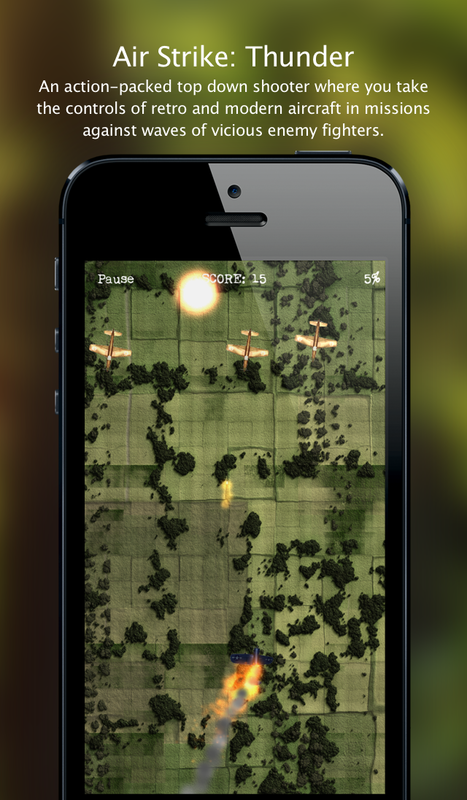 • 3D modelled planes and beautiful ground textures provide a stunning visual experience. • Unlock all missions by collecting medals with your available planes, or jump the queue with a simple In-App purchase, the choice is yours!